OH MY GOD! A giant man is spraying an enormous radiation aerosol spray can at a comparably tiny giraffe. This giraffe might be shrinking! My boyfriend bought 12 Crystal Pepsis. Who needs 12 Crystal Pepsis? 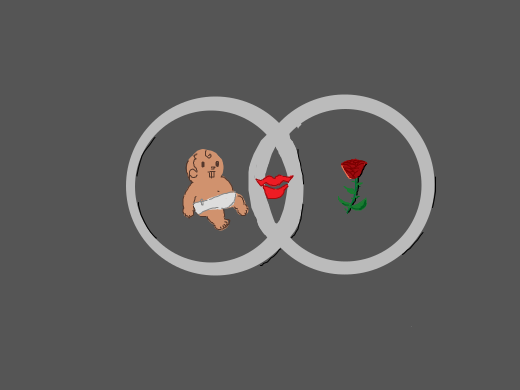 Venn Diagram with a baby on one end and a rose on the other. They share red lips? as a similarity. The Nite Owl's flying zeppelin from Watchmen. Says "WOOP WOOP" so that might be some kind of siren. A beige pineapple with grey leafs, is smugly looking/smiling at a sock that is wearing glasses and looks excited to see the pineapple. A chubby black woman and her skinny white husband.